Attack Attack! is a metalcore band that blends various elements of techno and electronic music into their sound. They are from Columbus, Ohio. 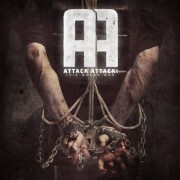 Album Review: Attack Attack! - "This Means War"
Bring back the other singer please.